Physical therapy is a form of rehabilitation therapy. It involves the development, maintenance and restoration of maximum mobility, functional ability and improved quality of life in persons who have been affected by disability arising from injury or illness. 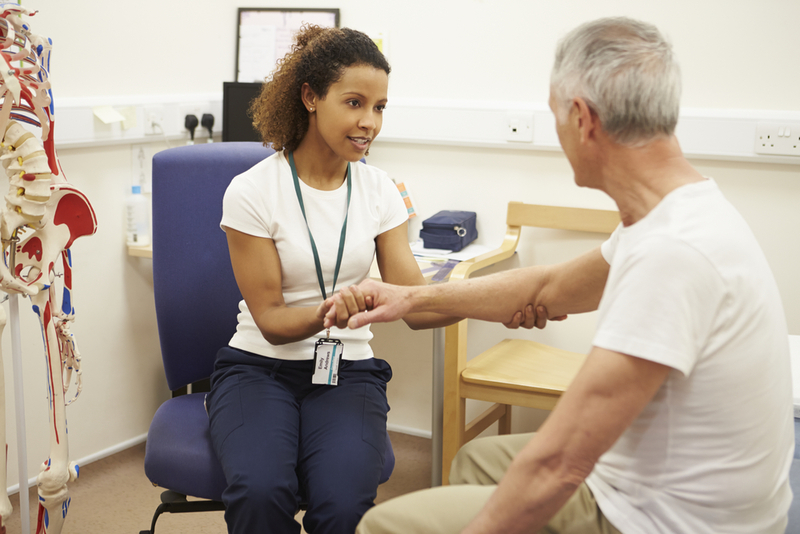 Physical Therapists are licensed health care professionals providing these services in a variety of health settings such as hospitals, clinics, nursing homes and other health agencies where they work as part of multi-disciplinary health teams. They also play key roles at fitness facilities and schools and they make significant contributions to the development of sports and the management of sporting injuries. The American Physical Therapy Association(APTA) is the professional organization that represents the interests of physical therapists, assistants and students. It is an individual membership professional organization aimed at enhancing physical therapist practice and promoting the awareness of the role of the profession in the society. Physical therapists are licensed by the states in which they practice after passing a national exam to get certified. Their primary focus is to ensure that the patient returns to normal activities safely, and as quickly as possible. 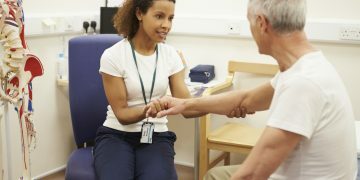 Utilizing essentially manual therapy skills and aided by cutting-edge treatment techniques, physical therapists treat specific injuries and related dysfunction with a view to achieving full recovery and reducing the risk of re-injury. A physical therapist evaluates the patient and comes up with a treatment program tailored to the needs of the patient. Emphasis is placed on patient education and training to ensure that the patient becomes independent as soon as possible. Treatment outcomes are evaluated as program implementation progresses. Manual therapy techniques such as muscle massage and manipulation are employed in the affected areas of the body to relieve pain and promote healing. Appropriate exercises are also prescribed to strengthen group of muscles and improve posture. When necessary, hydrotherapy can be employed to relax muscles and joints. This involves a series of exercises carried out in warm, shallow water. Physical therapists are commonly consulted for lower back pain, although the pain may be felt anywhere from the neck down to the hips. Many patients go to a physical therapist because self-help measures have not been helpful or the pain has been persistent or recurrent. They may also have been referred by their doctor or health care provider. Occasionally lower back pain is due to a medical condition such as prolapsed disc. In such cases, they are usually accompanied by additional symptoms such numbness and tingling sensations and they require treatment by an orthopaedic specialist. However, quite often, doctors have not been able to identify the cause of the pain, in which case it is referred to as ‘’non-specific’’ back pain. Bad posture, incorrect lifting, awkward twisting, overweight and prolonged standing are some of the common causes of non-specific lower back pain and physical therapists provide appropriate advice on regular exercise, maintenance of a healthy weight and the correct methods to adopt for efficiency in the work environment. Specific therapeutic methods are instituted by the physical therapist to alleviate the pain and promote early return to daily activities. Medical conditions such as stroke, Parkinson’s disease or multiple sclerosis often require prolonged periods of treatment and rehabilitation. Physical therapists play a significant role in providing support and rehabilitation as these conditions are often accompanied by stiff and inflexible muscles with difficulty in walking and carrying out everyday activities. Respiratory conditions such the chronic obstructive airway diseases (COPD) may grow progressively worse necessitating the institution of breathing exercises along with medical treatment. To facilitate improved respiration so that affected individuals can carry on with their daily activities, physical therapists are invited to co-manage the patients by introducing specialized program of breathing exercises.